"biophilia hypothesis has its basis in evolutionary theory and psychology..."
I find that quite laughable actually, along with Sociologists that try to explain our love, our sense of justice, our generosity, our morality etc in terms of evolutionary theory. I feel it's deluded enough not to recognise design in the intricate physical world, especially in our own bodies, but to ignore it in our beautifully crafted consciousness is just inexcusable and lazily panders to current popular opinion. Do you know what I find laughable? The sheep falling down the hill. Did you see that? C'mon! If there's one thing we can all agree on, it's that, right? Sorry for the early-morning rant. I find it hard to tolerate myself before 9.30 and shouldn't expect others to. I think what I was trying to say is that we are able to replicate things that happen by accident - I believe I could deliberately recreate the consequences of tripping just before placing my wife's hot tea on the tray in front of her, although she might be somewhat more annoyed that I did it on purpose, even if was in the name of science. I am confident that no amount of work, design and manufacture could recreate a human body, let alone a human's sentient consciousness, feelings and all. A robot could be taught to reprimand me with all kinds of inventive language, on the topics of tea, new tops, stains and careless husbands, but it could never actually love me, forgive me, and decide to forget the whole thing and feed the cat. The idea of design might be unpalatable for many many reasons, but I don't think we can afford to discount it at all costs. Okay, so I'm no biologist, but I spent some time thinking about this. I don't think we're all biophiliac by nature, that it's imbedded in our genes. My best guess is that care for animals started when people began to live a sedentary life, they had to take care of their livestock, because they were used for food, other resources, also protection, and, later on, money. It's only natural you protect what's yours, protect something you benefit from. As far as I know, people weren't really concerned with the well-being of the bear or the wolf, back in the early days. After all, they meant nothing other than trouble. Things just broadened from there, is what I'm thinking. People started exploring the world around them, and found species they were unfamiliar with. They wanted to know more about them. With the increase of knowledge about animals, their anatomy, way of life, diversity, and the realisation that some species are very rare and will disappear if not protected, came in increase in interest in animal welfare on a greater scale - beyond taking care of livestock. Animal welfare today might be because of our fascination for the animal world (from a biological, aesthetical or just a "look at that cute panda!" point of view), because we've been taught animals are very much like human beings, and can feel pain and suffering, or for purely selfish reasons ("Look what I did, I donated money and now that panda will live his life all happy and free! Hurray me for being so awesome and loving! Now how can I file this for tax reduction?"). All this to say I think the penchant for animal care is a cultural thing, rather than something we're born with. I am undoubtedly biophiliac. I grew up on a farm, and my connection with our animals - from sheep to cats to chickens to cows and even a horse - brought me so much joy. Once, I went out to the barn to see my cats, and there was one wild kitten that had her head stuck in some tight chicken fence wire. The poor thing was whipping itself all over to try to get free and only managing to dig the wire deeper into its neck. It had worn away a layer of it's fur. I ran bawling into the house to get scissors to free it. I managed to get it free without anyone else's help (I was just a kid), and that kitten was tame from then on. 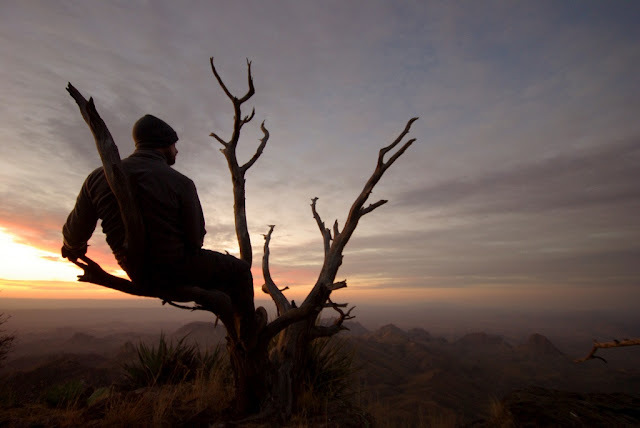 Also, when I was having a rough day, I'd go find a quiet, secluded spot to sit. One time in particular I remember. A lamb and my cat came and sat with me. I think they knew I needed some quiet company. It might seem silly, but these memories still hold powerful emotions for me. I don't think humans are born this way. I believe it's primarily environmental and societal. Our connection and respect for living things is often a result of our experiences and the values presented to us at a young age. 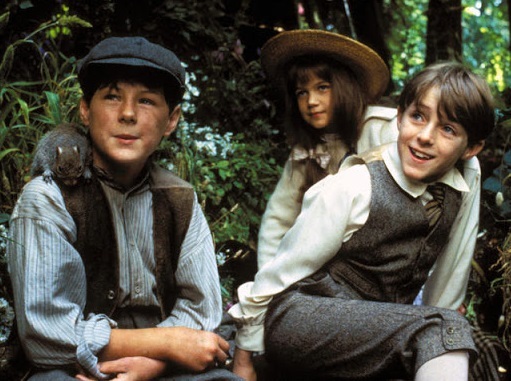 PS I loved the character of Dickon in The Secret Garden! I even envied his affinity for nature and animals as well - I had only a glimmer of such. My apologies Kara - I didn't want to traumatise anyone! And I have it on good authority that the poor little lambkin is fine and living a carefree life on the lush hills of New Zealand as we speak. The thing is, it was so remarkably like my sheepy rescue that I felt compelled to use it just to show what we did. Also, it allowed me to use the joke "lamb-fisted rescue" (I also considered "ram-fisted"). You wouldn't have denied me the chance to write such an amazingly good pun would you Kara? Would you? Surely not! It's interesting that neither of you think biophilia is an inherent human quality but that it's rather a cultural one. I think I'm more inclined to disagree, and tend towards the idea that biophilia is a peculiar and inborn human trait. If it was only cultural conditioning, would there not be cultures that exist where biophilia wasn't present, where mammal-like creatures with big eyes and round faces weren't seen as cute? The thing is, we'll never know for sure, right? Because to let a baby raise itself - somehow assuming it would know how to survive in an environment that doesn't provide it with food - and see whether it develops into an empathetic being - towards humans, animals, plants... rocks... - would be unethical. The so-called wolf-children aren't an example either, because of course they would feel love or at least empathy towards their adoptive parents. Also, children that have been abused ever since birth, and haven't experienced love in any way, won't teach us much either. Either they're scared or hateful towards other living beings, or they seek for protection from living beings that AREN'T their abusers. I suppose it depends on your definition of "sure", but I think that if the vast majority of cultures throughout history have demonstrated this biophilia (even if there are some examples where the biophilia has been culturally conditioned out), it would be pretty convincing evidence that biophilia is inherent rather than cultural (nature, rather than nurture). And, with the exception of the negative effects of isolation, it's hard to imagine that so-called feral children could be evidence of anything relating to what is "natural", "normal" or "inherent" to humans. With humans being such profoundly social creatures, the damage caused by such extreme isolation would render any evidence useless.